A Havard business review conducted recently on the shopping behavior of more than 46,000 customers concluded that 73% of the customers used multiple channels in their shopping journey. These multi channel shoppers are referred to as your “omni channel customers”. Technology in the retail has become a very competitive tool and consumers today rely on technology to better locate and acquire products. Online digital technology is also gradually being implemented in-stores to engage the consumers and link the in-store buyers with the at-home ones. (Armstrong, Kotler and Opresnik, 2016). Overall, technology has divided the retail shopping eco-system from purely offline to – online and offline. Consumers are empowered with limitless choices and remarkably high expectations. They expect convenience and customization whenever they are shopping and switch shopping channels with ease, as they search online but buy offline or vice versa. This has blurred the lines and created new stages in the shopping journey (Baik, Venkatesan and Farris, 2014). To be an effective retailer, you must combine both in-store and online strategies by leveraging on the techniques and technologies to build a successful omni channel strategy for better retail experience. Below are some of the ways you can build omni channel strategies to meet the needs of the demanding modern-day consumers. First things first – understand your customer behavior in-store and online. Successful retailers make sure that all their marketing strategies are aimed at engaging the customers on any channel. They have a wide understanding of their customer’s shopping behavior. Data gathering is the first step of any omni channel strategy. Online: You can use google analytics to track your customers online behaviors and activity on your website. Having an integrated analytics platform is first of many steps towards an omni channel strategy. An integrated analytics system helps boost productivity and saves time of compiling reports from various systems manually. Many large companies still operate manually in this area. A Centralized control platform will help to improve accuracy of your data and visibility without delay. The “new retail experience” should be seamless and consistent- shopping experience for your consumers must remain the same on all touch points. Disney has excelled in this by making shopping easy on their mobile app, website as well as theme parks. Every interaction customers have with you, should give you an opportunity to make a sale. As you work on your strategy, note that customers want “what they want and how they want it” and they expect you to deliver. Inventory optimization should be done with the understanding of the complexities that come with the many purchasing channels customers have. You have to account for network inventory, channel specific demand patterns and inventory strategies to deploy your assets better. Inventory strategies must be fine-tuned to every selling channel. 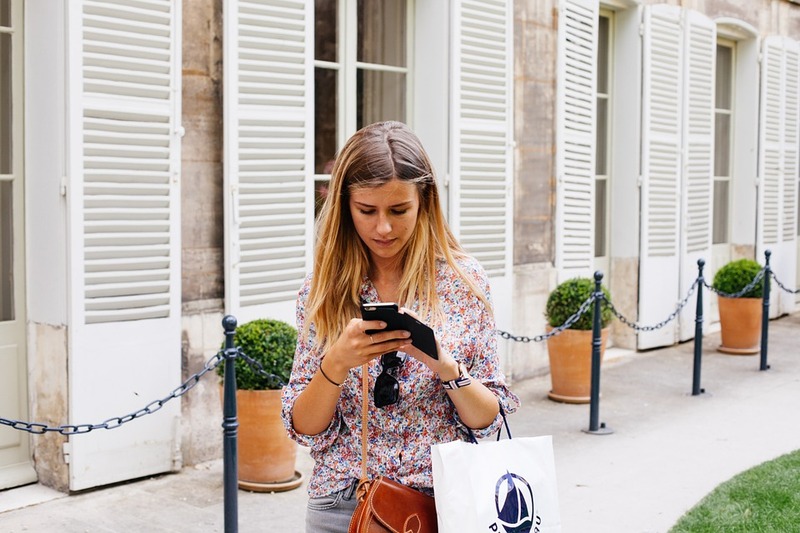 The trend is shoppers are relying more on their mobile devices to do research and shop. 42% of shoppers will do research on a product while in your store. Personalized coupons and recommendations are what compel most shoppers to take action.